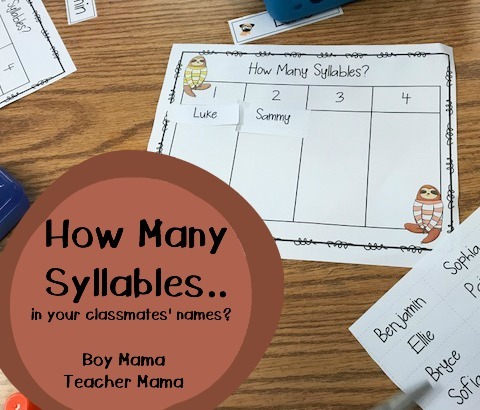 How Many Syllables In Your Classmates’ Names? My first graders LOVE syllables! I have never seen a group of firsties smiling and clapping along with an activity as much as I have this week. We have been practicing counting syllables using words around the classroom, images we found and finally today, with their names. 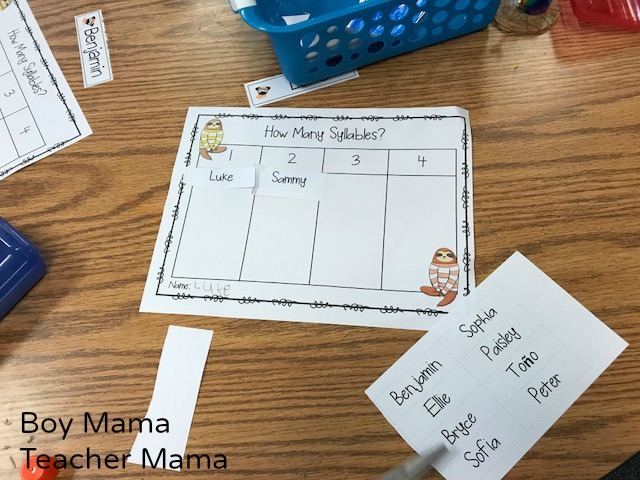 I thought is would be fun to use our names and graph the number of syllables in those names so I created this activity. And, by the way, it was a huge hit! To begin with, I printed all my students on the following template. You don’t have to use the template, but I like how clean and easy it is to read. 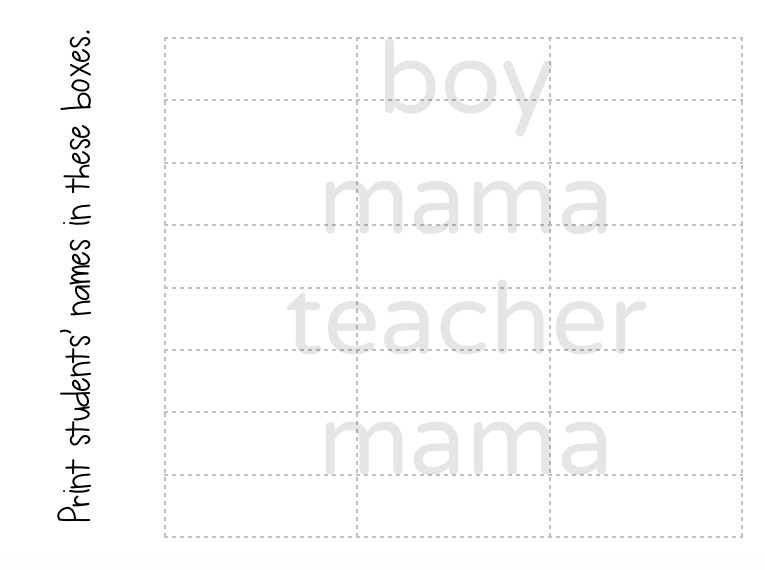 I then gave each child a copy of this grid with names and a graph with columns showing a number of syllables. 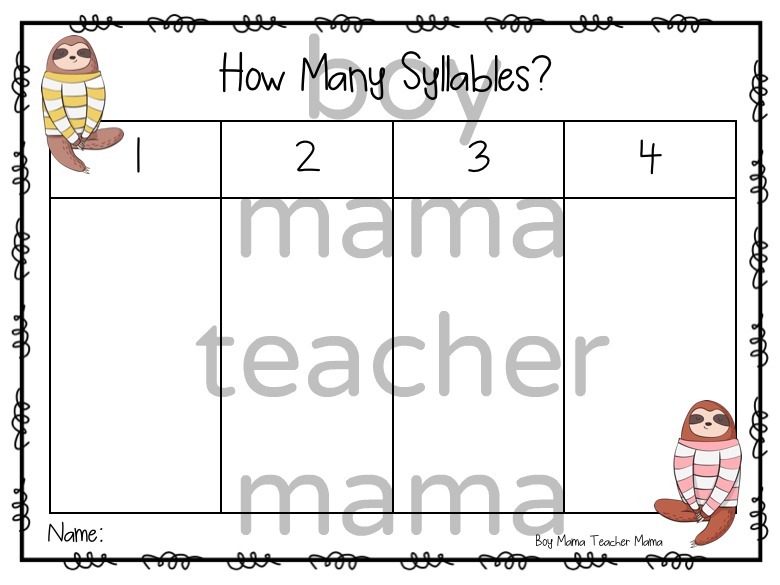 Finally, I asked the kids to determine how many syllables in each of their classmates’ names, cut out names from the grid and then glue them in the appropriate column on the page. Click HERE for template available in our TPT Store.